Today marks yet another landmark moment in our short history, our 100th brew day! 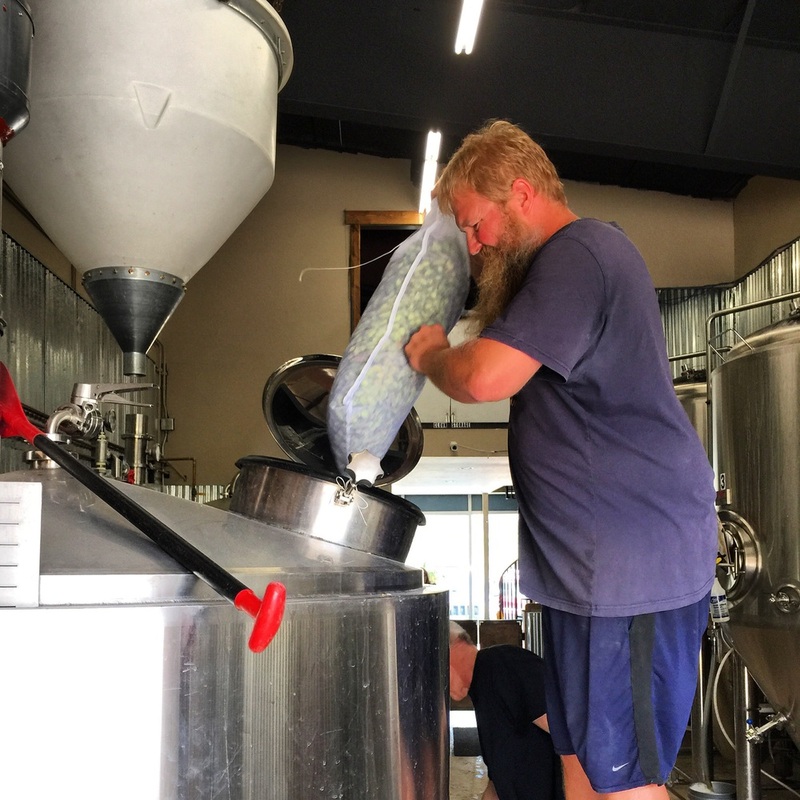 To celebrate, Ford's whipping up a wet hopped pale ale, made with fresh local Colorado Cascade hops (wet hopping, for the non beer geeks out there, means using hops straight off the vine rather than hops that have been dried out and pelletized). The brew will be ready to drink in a couple weeks and will most flavorful right when it goes on tap, come try a pint and help us celebrate!